Blessings come in many forms. One of the most wonderful manifestations of heavenly blessings come praise and worship concerts such as a live performance from one of the most dynamic Christian artists to date — Bethel Music. This music ministry from Bethel Church has been inspiring a multitude of not only Christian believers, but music lovers in general who are uplifted by the power of praise music. Bethel Music has constantly been on the road, and this side town may well be "#blessed" for being one of the chosen venues to hold this worship extravaganza. 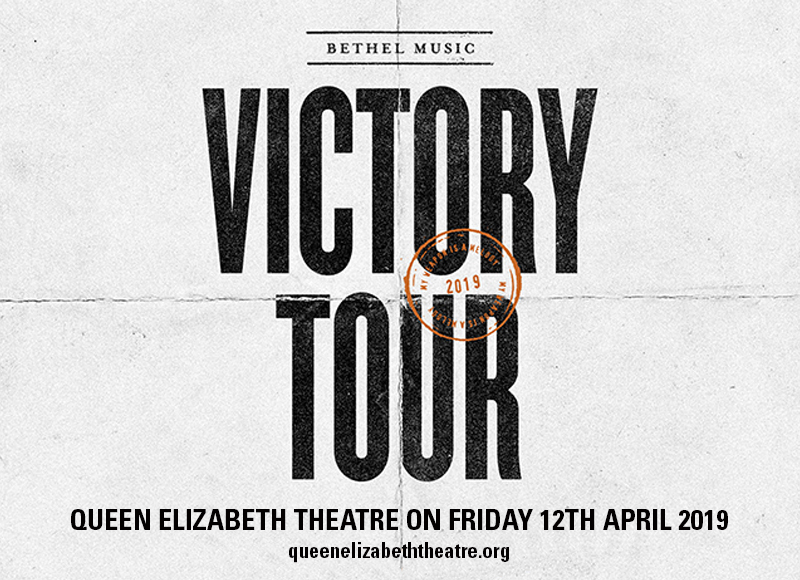 On Friday 12th April 2019, the Queen Elizabeth Theatre will stage an unforgettable worship experience. Book tickets and save yourself a seat and partake of the blessing that can only come from the power of praise. From a creative hub in Bethel Church located in Redding, California, U.S.A., the music ministry composed of Jeremy Riddle, Steffany Gretzinger, Hunter G.K. Thompson, Amanda Cook, William Mathews, Josh Baldwin, Cory Asbury, and Brian and Jenn Johnson, started writing, performing, and recording their own worship songs in 2006. These sessions led to the release of “We Believe” of that same year, and followed t by “Undone” in 2008. Over the years, Bethel Music released a treasure trove of glorious praise music such as "Have It All", "Brave New World", "Without Words Synesthesia", "We Will Not Be Shaken", "You Make Me Brave", "On The Shores", "The Undoing", "Swan Song", and many more. From their hub in California, they passed on the message of love, hope, encouragement, salvation, and joy through songs that uplift, inspire, and give praise. Their songs not only reverberated in church halls. Soon afterwards they were filling-up concert halls as well. They've gone on church and concert tours in many parts of the world; and people also travel far and wide to catch their performances. Testimonies about Bethel Music use words and phrases such as — "inspiring", "transformative", "life-changing", "unforgettable"… Experience it for yourself, your family, friends, and love ones. Let music overflow and be part of this wonderful experience that is beyond words, beyond personal beliefs, beyond similiarities and differences.